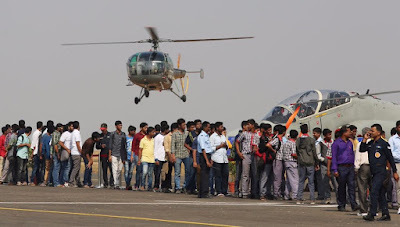 As part of Republic Day celebrations, Indian Air Force (IAF) organized a guided tour for the students to Air Force Station (AFS), Hakimpet near Hyderabad today. Around 10,000 students from various Schools and Colleges from twin cities enjoyed the trip. The aim of the event was to familiarize and motivate the young students to join an exciting and challenging career in the Indian Air Force. The event was inaugurated by Air Commodore Hardeep Bains, Air Officer Commanding of the station. A static display was arranged for school children to see the aircraft and get a close feel of the magnificent Flying Machines. 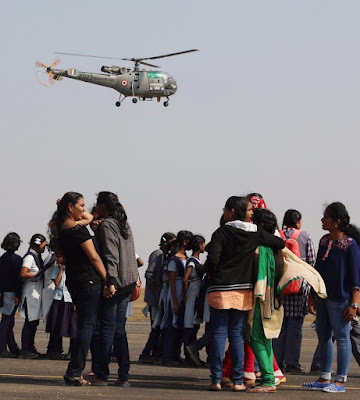 The different planes and helicopters on display included Chetak helicopters, Hawk an advanced jet trainer, Pilatus PC-7 Turbo trainer, Kiran MK-1 a twin-seat jet. 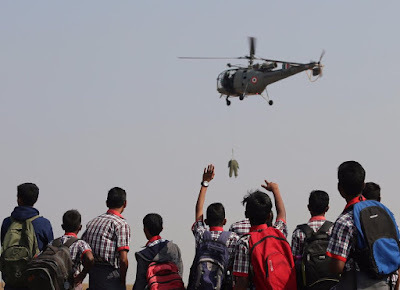 Students also got a rare opportunity of witnessing the special induction Publicity Exhibition Vehicle (IPEV), which is specially modified vehicle to showcase various aspects of IAF and a medium to bring the IAF to the doorstep of the students and aspirants across the country. The IPEV show cases the career related information, life, its assets including flying simulator to experience various facets of the IAF. 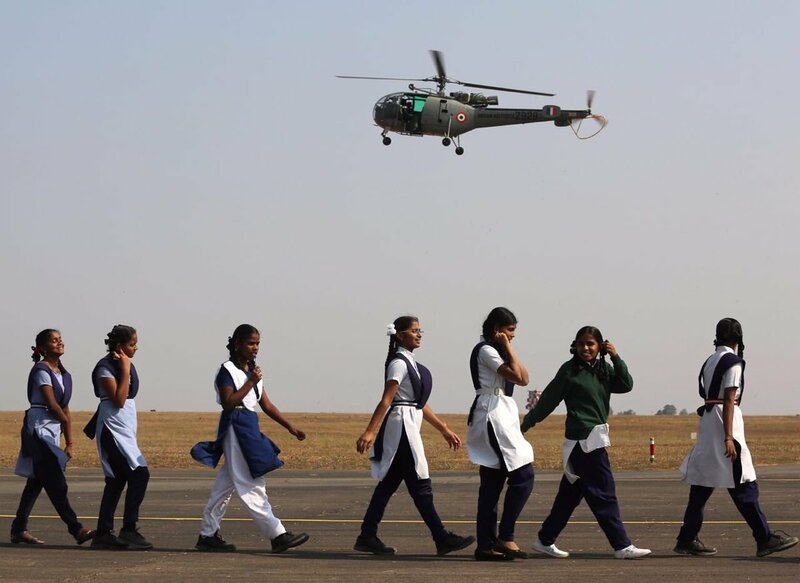 Students were also taken to the Indian Air Force Museum to give them glimpses of Air Force history. 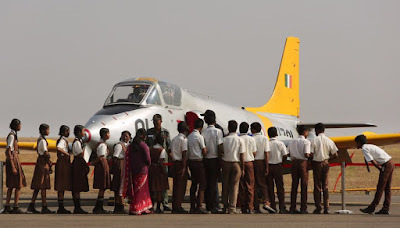 In addition, a movie show about life in Air Force was also screened for the students. 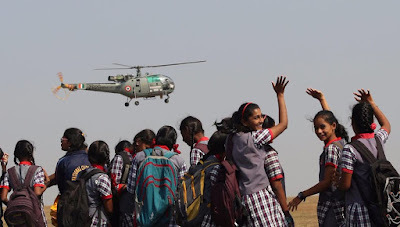 The students had the rare opportunity to witness a fly-past by Kiran and Chetak aircraft.